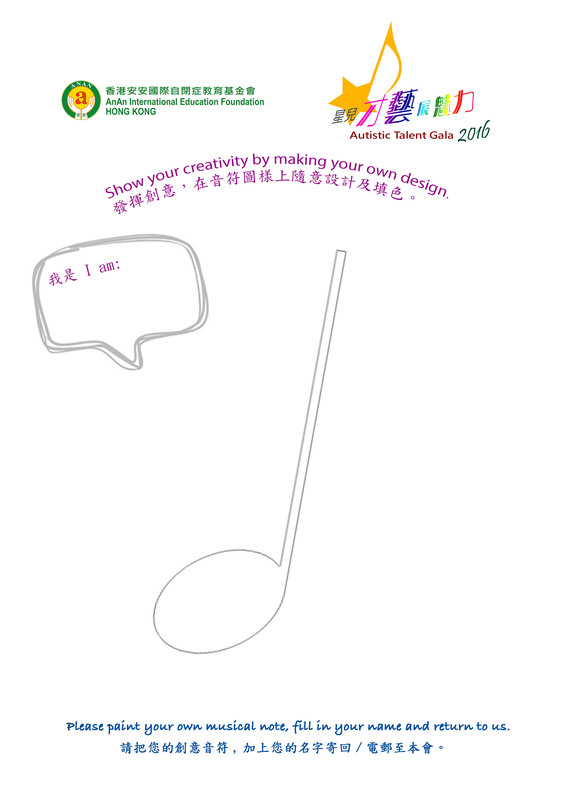 This design activity is a special program under the Autistic Talent Gala 2016. 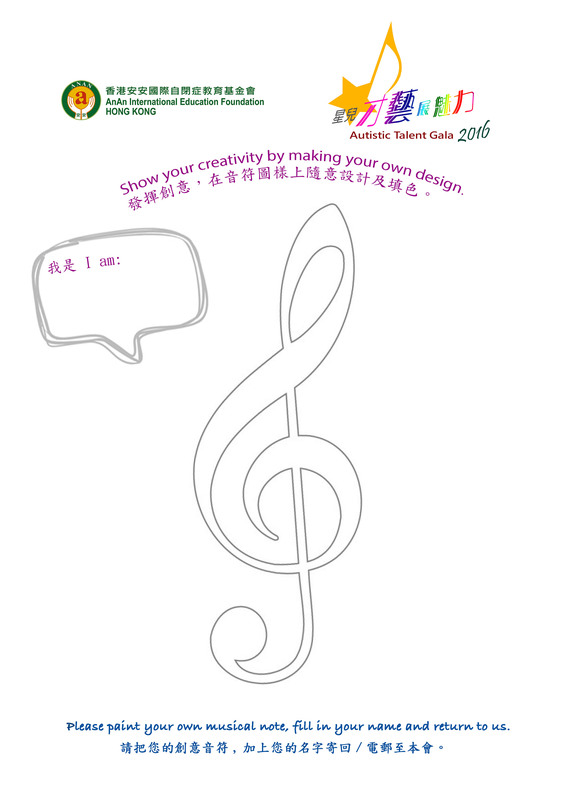 Participants could color and design one or more musical note(s) as attached to show your creativity. 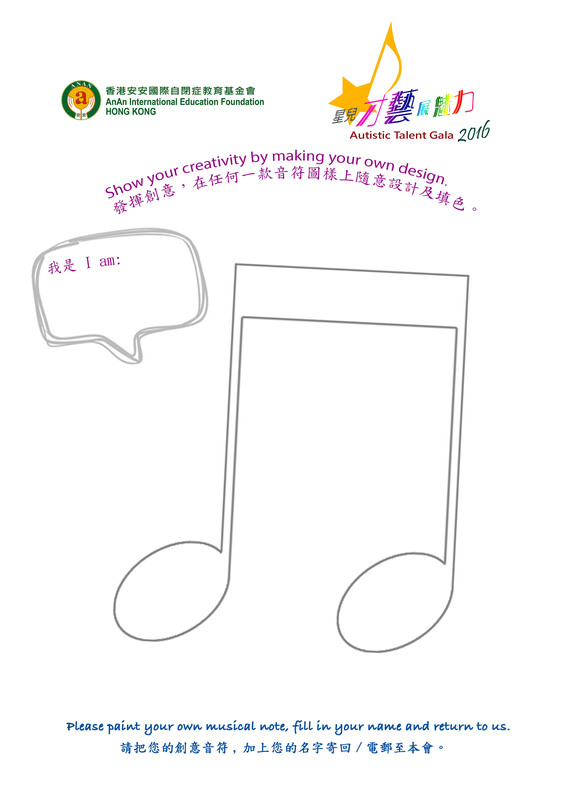 All received designs will be puzzled together to form a complete sheet music and selected drawings will be used on artwork to be exhibited at the Finals. Creative and outstanding designs could be published in our bi-weekly newsletter “Heartfelt”. Aiming to promote social equality, integration, public understanding, and respect, we sincerely invite participants to share their own inspiring and encouraging stories with us. All stories will later be displayed at the Finals. Selected stories may also be published in “Heartfelt” to touch the hearts of our readers. Share with us and inspire the others! Don’t hesitate, join us NOW! 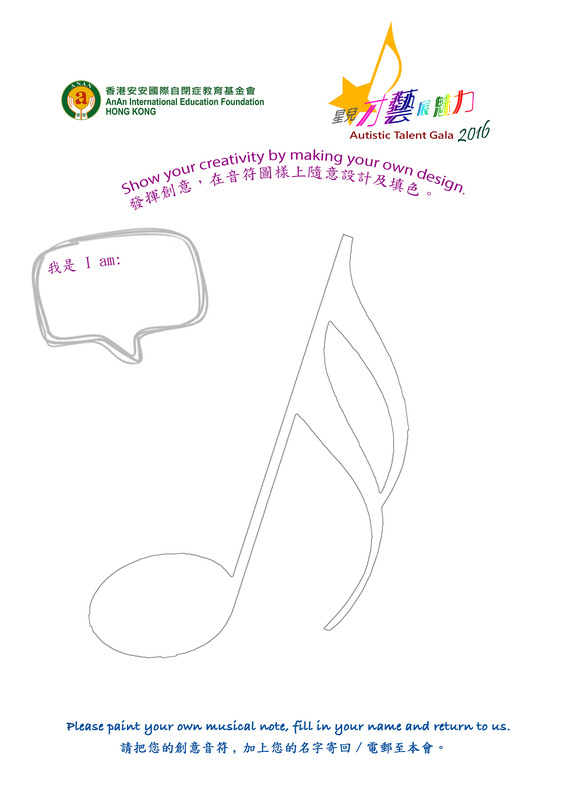 Please send your design by mail or in jpg format (300 dpi resolution) to our email atg@ananedu.org.hk. 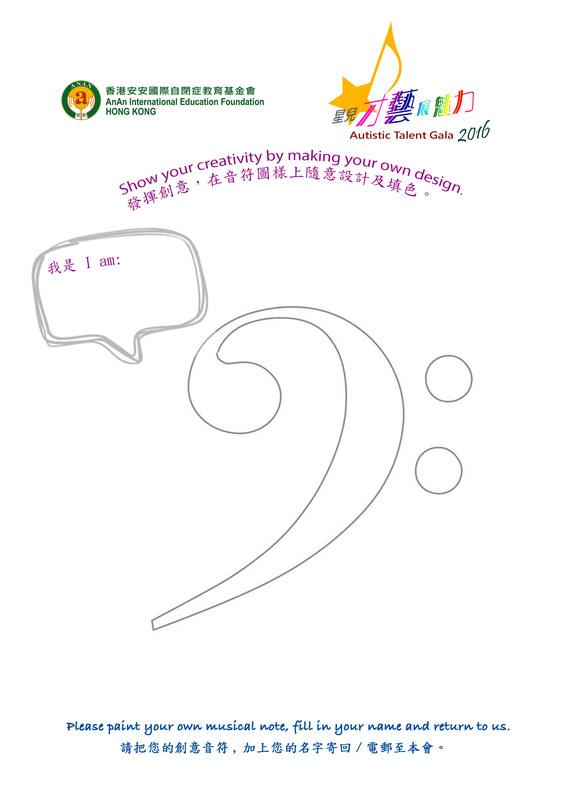 Please submit your work on or before 26th October, 2016. 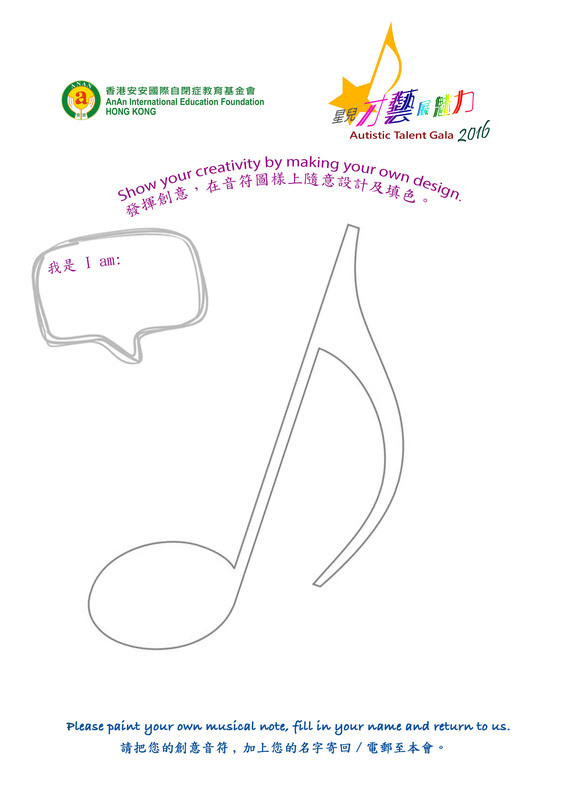 Should you have any enquiries, please contact us by email atg@ananedu.org.hk or by phone (852) 2596 0777.